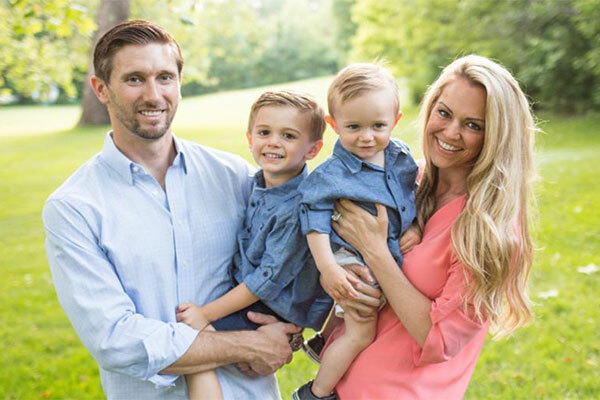 Honor Eric Medlen by helping the children of Peyton Manning Children's Hospital at St. Vincent Indianapolis through sponsor donations and by joining us in 2019 for the 11th Annual Eric Medlen Memorial Golf Tournament. We are thrilled and honored to be hosting our 11th Eric Medlen Memorial Golf Tournament!! Throughout the years, our mission has remained the same – to honor Eric by helping the children of Peyton Manning Children’s Hospital at St. Vincent. With the generous support of our sponsors and friends, we have been able to donate over $500,000 to PMCH! This year, all proceeds will go to fund and support a full-time, on-site teacher. The hospital teacher will provide individualized instruction and assistance to patients who must miss significant time from school due to a long-term hospitalization or frequent visits to the hospital for treatment. This is a substantial issue among the pediatric cancer population at the hospital. We hope to help ease the burden of those patients and students as they can hopefully transition back into their school. We hope to see you on the course honoring Eric and supporting Peyton Manning Children’s Hospital! Eric Medlen (August 13, 1973, Oakdale, CA – March 23, 2007, Gainesville, Florida), son of John and Mary (Mimi) Medlen and brother of Eryn Medlen, was an NHRA Fuel Funny Car driver. Medlen drove for John Force Racing in 2004, 2005 and 2006, campaigning in the Castrol Syntec Ford Mustang Fuel Funny Car, and in 2007, campaigning in the Auto Club/Pleasant Holiday Ford Mustang Fuel Funny Car. He had a total of 6 career wins. His first win came during his Rookie season in 2004 at Brainerd International Raceway. He worked as a mechanic for John Force and past teammate Tony Pedregon for 8 years until Pedregon left to join his brother Cruz's race team. 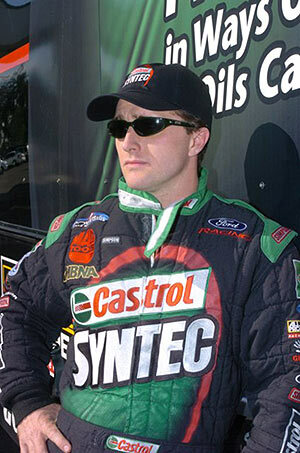 Medlen was moved into Pedregon's Castrol Syntec-sponsored car. In 2004, he was a top contender for the NHRA Road to the Future Funny Car Rookie of the Year. He followed with 3 wins in 2005 and 2 wins in 2006. Each year he raced, he placed in the top five or higher in NHRA Championship Points. Prior to 2004, his fastest elapsed time was 4.681 seconds. His fastest speed was 328.54 MPH. He had 8 #1 qualifiers and a 94-65 win-loss record. After being cut free from the car by the NHRA Safety Safari and receiving emergency treatment at the track, Medlen was transferred by Alachua County Fire Rescue to Shands at the University of Florida where he was treated for four days for what doctors characterized as a severe closed head injury. Medlen survived a delicate, three-hour craniectomy procedure to relieve pressure and hemorrhaging on March 20, 2007 but succumbed to complications of diffuse axonal injury three days later after being removed from life support in accordance with his own previously stated wishes. According to auto racing safety expert John Medlen, Medlen was literally shaken to death in the incident. The deflating tire caused an 18-inch movement up and down, which then exerted a force of 40,000 or more pounds as it rotated. He was the first NHRA fatality since 2004, when Top Fuel racer Darrell Russell lost his life in a race, and the first Funny Car driver to lose his life in 30 years. John Force Racing immediately began an investigation into Medlen's death, leading to the development of the Eric Medlen Chassis. If you would like to donate via credit card, please contact Jessica Janocha at jessica@lucasoil.com or call 317-858-1333.